Logo and podcast square concept, illustration, and graphic design. 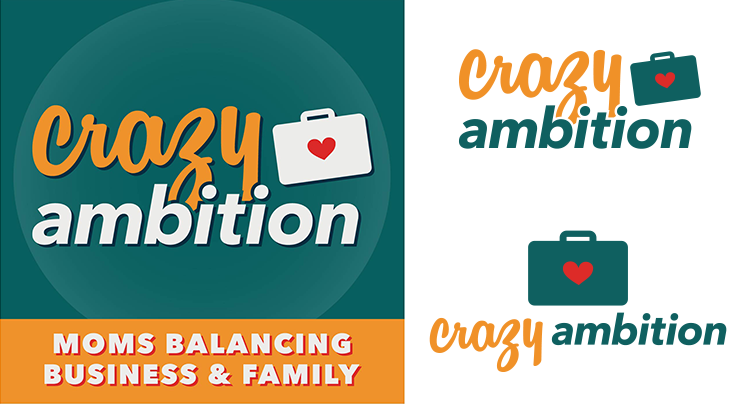 Crazy Ambition is a podcast for moms balancing business and family. It gives mom entrepreneurs more time with their kids through systems, outsourcing and controlling overwhelm.